I’ve experienced nothing paranormal there, but I did find two unusual stones. Cause of death is rarely shown, but two children – Harriet (Pierce? 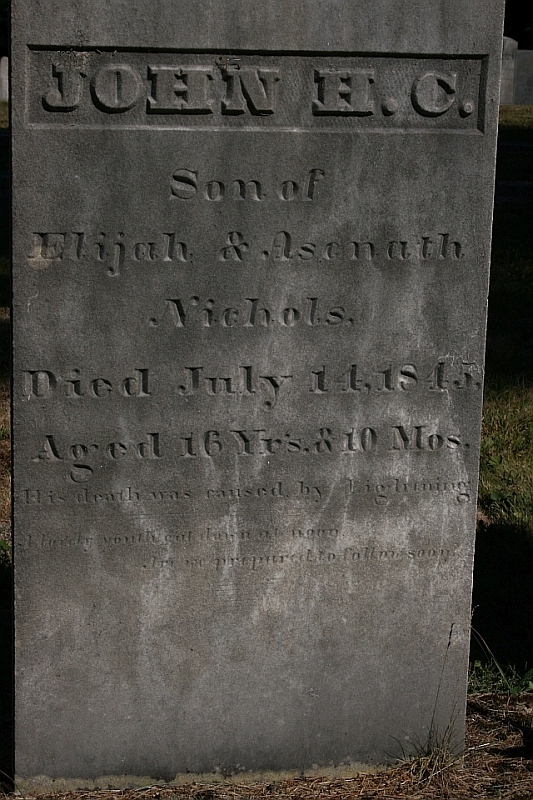 ), age 8, and John Nichols, age 17 – were both struck & killed by lightning on July 14, 1845. I’ve included a photo of the Nichols stone.